(hla) Did you know that swishing / gargling oil in your mouth can improve your dental health and overall well-being? 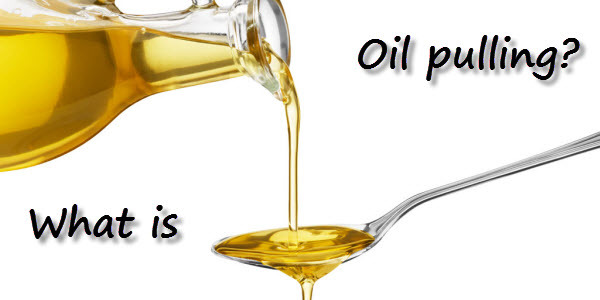 The swishing of oil in one's mouth is known as oil pulling in Ayurveda, the Indian Traditional Medicine system. It is also known as "kavala" or "gundusha". Numerous benefits have been associated with the practice of oil-pulling. Practitioners propose that the practice helps draw the toxins to be expelled from the body, hence effectively treating gum diseases, prevent tooth decay, and even alleviates conditions such as eczema, arthritis and asthma. Coconut oil oil-pulling practitioners have reported better-smelling breath after the process with some even experiencing whiter teeth. Cosmetic dentist in Westfield (New Jersey, USA) Dr. Joseph Banker, although skeptical that oil-pulling can whiten teeth, thinks that "oil (may have) an intrinsic effect... (in) the removal of plaque." When practiced daily however, the process may remove "some tooth stain", adding that if the process improves gum health, making it pinker, this leads to teeth appearing whiter. Although many conventional dental practitioners would be fast to point out that the oil-pulling therapy has insufficient peer-reviewed scientific studies to support its use for oral conditions, it is interesting to note that a study conducted by Asokan et al (2009) found that the oil pulling therapy showed a reduction in the plaque index, modified gingival scores and total colony count of aerobic microorganisms in the plaque of adolescents with plaque-induced gingivitis. Just as how Traditional Chinese Medicine practitioners believe that different points of the foot are linked to different body organs, Ayurveda believes that each section of the tongue is associated with different body organs such as the lungs, liver, heart, kidneys, intestines, stomach, colon and spine. Gargling oil will therefore help the detoxification process to purify the body system. Unrefined and edible coconut oil. Studies have shown that coconut oil can kill bacteria. Alternative medicine proponent Dr. Mercola says that coconut oil is "a powerful destroyer of all kindsm of microbes, from viruses to bacteria to protozoa...". You may not like the taste. Just remember that you are doing this for your health. DO NOT swallow the oil! Take a table spoon or two of the oil and swish it in your mouth for around 5 minutes just like you would when rinsing your mouth after brushing your teeth. Then, spit it out. It is as simple as that. (Note: Remember to spit the oil into the toilet bowl. Spitting oil into the sink may lead to blockage when it solidifies). Brush your teeth and rinse your mouth thoroughly. 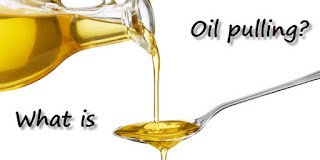 Again, I would like to remind you NOT to swallow the oil after the process as it now contains all the toxins and bacteria that may be harmful for your body when re-ingested. I've done this before for awhile. Totally forgot about this after that. I didn't like the taste but I did feel good after doing it. Didn't use coconut oil but did it with sunflower oil. Maybe coconut oil would taste better? I just did it! It's amazing how clean your mouth feels. Will try it for a week and see how it goes. But what if you have fillings in your teeth?